Click on the links below to view the floor plans. Alexander Plan – Spacious two story plan featuring 9 foot ceilings on the first floor to showcase the open kitchen and family room design with lots of natural light. Alexander Expanded Plan – The Alexander’s big brother with more square footage for larger rooms. Devonshire Plan – Attractive ranch plan with an open layout that connects the great room, kitchen and formal dining room with a trey ceiling. The full size mudroom with cubbies allows for organization and convenience. Ethan Plan – Versatile 2 story plan with open great room, dining room and kitchen area designed for family interaction with all bedrooms together on second floor. Gavin Plan – Available as a ranch or add a basement for a wonderful entertaining space with a recreation room, guest bedroom, full bath and ample storage space. Gavin II Plan – Cozy ranch cottage with an open layout and bonus room option that adds the possibility for a 4th bedroom, office, playroom, etc. Georgia Plans – Sweeping ranch with popular split bedroom design, formal dining room and kitchen island for comfort and convenience and includes mudroom with built in cubbies. Lilly Fair Plan – Inviting front porch welcomes guests to this 2 story home that was designed with entertaining in mind. Mayfield II – The Mayfield III’s little brother with slightly less square footage, but the same great design. Mayfield III – Charming two story plan with a highly functional kitchen with ample cabinet space that is open to the breakfast area and family room. All bedrooms, including the master suite, are upstairs. * Payne Homes Model Home features optional upgrades such as: granite countertops in the kitchen, tile shower and granite vanity tops in the master bath. 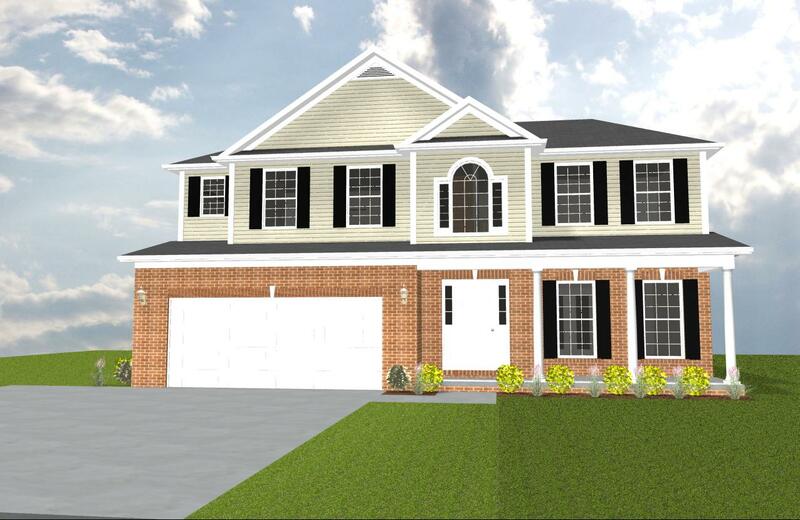 Merrick Plan – Flexible main level with open floor plan perfect for entertaining on a full, partially finished walk out basement that adds a fourth bedroom and huge recreation room.